I did some sewing today. These will be a gift for my mother-in-law. 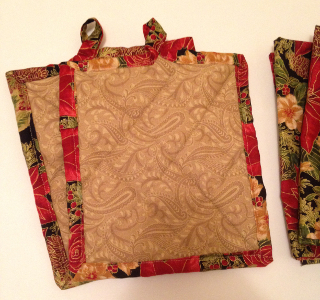 Two matching potholders and four napkins. The poinsettia fabric I bought last year and made her an apron. So this year, I’ll give her these matching items for the kitchen. The potholders have a layer of insul-bright and then a layer of cotton batting on both sides inside the cotton fabric. They are nice and thick. 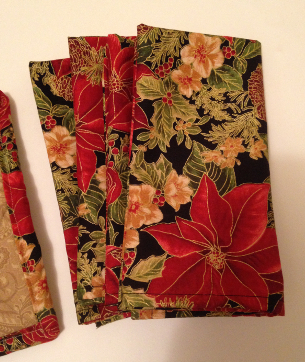 The poinsettia remnant was just enough for the edges of the potholders and four napkins. Four isn’t really a proper number for a set of cloth napkins, but it’ll do. I hope she likes them. You have good sewing skills! I am bad at it ha ha!! These are beautiful! Great job! Right now I’m working on crocheting a hooded poncho for my BFF for Christmas. 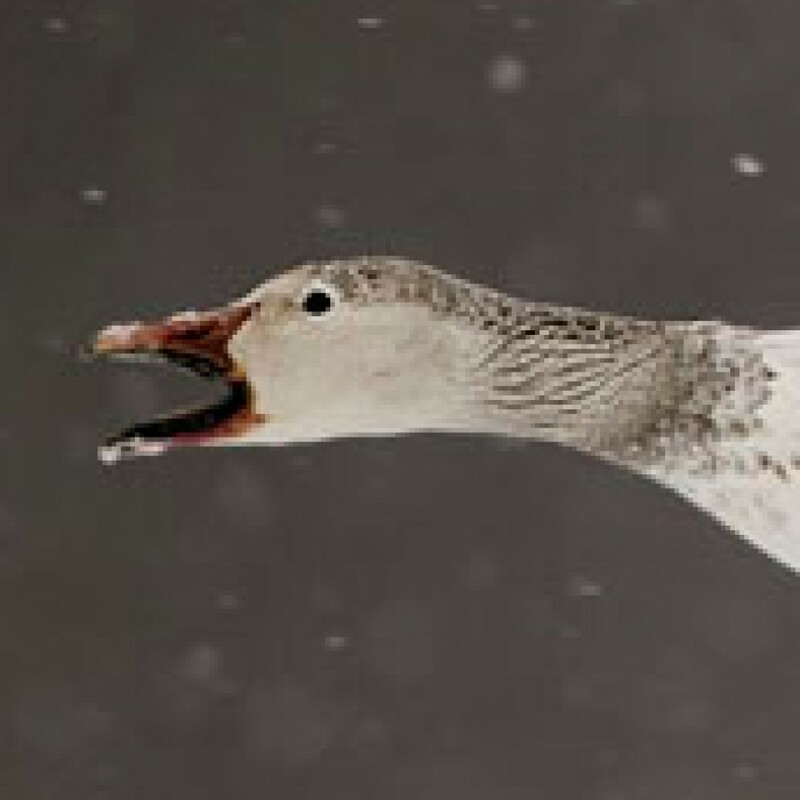 I’m so excited because I’m in the home stretch. Awesome. I never learned to crochet or knit. Maybe someday, I love yarn. Beautiful! I love sewing in my free time too! This entry was posted on November 20, 2016 by thehonkinggoose in Home and tagged crafts, fabric, family, gifted, handmade, holiday, mother-in-law, sewing, sharing.